a neutral planet with warp capability just beyond the Federation borders (but close enough to be within reach of Starfleet). The Borg move to assimilate it, and the absurd thing is that the inhabitants themselves want to be assimilated, and therefore do not intend to offer any resistance. (we can hypothesize a civilization similar to the Bynars that already use technological implants ...). The assimilation of this planet would for the first time place a borg's power center in the alpha quadrant, so any new attack on the Federation could take place without the little warning that before you could have, and once assimilated the planet would become virtually impossible to attack from the fleet. In such a situation ... would it be justifiable according to you for the trek's ethics, an attack and occupation of the planet by the Federation? or even the general order 24? (without inhabitants would lose a lot of its danger). In my opinion we would be at the limit, but the alternative would be so dangerous that at least the occupation of the planet would be justifiable. The general order 24 only in case of imminent assimilation to avoid a comparison with the Borg that would probably be disastrous for Starfleet, would become an option. For one thing, with the transwarp network the idea of having a valuable strategic base near enemy territory is somewhat obsolete. The Borg could send ships to anywhere in the galaxy from one of their transwarp hubs in minutes, so why bother assimilating a planet near the Federation? this assumes that this network is always available and can get anywhere from anywhere and this does not seem to be the case (Otherwise why create the Hubs). Yet in TNG it does not seem that the Borg have transwarp always available (of the type seen in the endgame or any other, otherwise why go all the way from the battle with the Enterprise to Wolf 359 at warp speed), but only of very advanced forms of warp technology (the transwarp seen in Descent is not even explicitly said to be borg technology ). Returning to the endgame episode, the hub that led to Earth (and the alpha quadrant?) was destroyed, so it is conceivable that even the related conduits were too. In this context a supply point in the alpha quadrant would be important both in terms of expansion in this area of the galaxy, and for observation and espionage (I admit that the latter is not very Borg). I admit that all this is much more applicable to to what seen in TNG, it is almost to think that tranwarp is a recent technology for them, perhaps even assimilated by the race that created Descent's ship. Maybe during TNG the Borg were limited to traveling at warp 9.99+ , which would explain the time spent between Q Who and the first attack on Earth. In this context, then, the question could be considered valid in the TNG period itself and not later, i think. bladela wrote: this assumes that this network is always available and can get anywhere from anywhere and this does not seem to be the case (Otherwise why create the Hubs). We don't know one way or the other. But we do know that the network certainly goes to Earth, because we saw it do so. Again, unclear. But it's perfectly possible that they assimilated the technology after BoBW. As you suggest yourself later on. It's possible, but there's nothing in the episode to indicate that. I don't see why it would be. In BoBW the Borg didn't have any kind of base. A single ship simply flew in and smashed everything in its way. If they hadn't bothered with Locutus they would have won then and there. Same in First Contact. To judge from that, they'd certainly win if they sent a hundred ships. Or ten, for that matter. Or even two. And since the ships are easily capable of just flying all the way to Earth and assimilating it... well, what's the need for the forward base? What does it provide for them? Graham Kennedy wrote: I don't see why it would be. In BoBW the Borg didn't have any kind of base. A single ship simply flew in and smashed everything in its way. If they hadn't bothered with Locutus they would have won then and there. Same in First Contact. To judge from that, they'd certainly win if they sent a hundred ships. Or ten, for that matter. Or even two. And since the ships are easily capable of just flying all the way to Earth and assimilating it... well, what's the need for the forward base? What does it provide for them? I do not deny that what you say makes perfect sense, anyway one could hypothesize that a ship is the maximum that the Borg can send so far from their territory in the delta quadrant. To give an example, nothing would have prevented the Soviets from sending half of the red army to Afghanistan in 1980, if not the impossibility of supplying or maintaining such a force. Starfleet could potentially send ships in the delta quadrant, but it could not keep them and support them by remaining an organic body (the Voyager spent several years there, but you can say that they live off the land in a certain way). could the borg do the same? probably (assimilating what is needed) but this is not a certainty. The question is more than anything else, from your point of view, to what extent the "trek way" should be defended in case of extreme events, and precisely if there is a limit beyond which you are allowed to barbarize (if there is a point, offcourse). To understand each other, the intention to use the general order 24 in A TASTE OF ARMAGEDDON is, in my opinion, a forcing and unjustified. The Eminians do not seem to be a real threat to the Enterprise (the shields held) nor to the Federation, and in this context annihilating an entire civilization to save a few individuals I do not find justifiable. bladela wrote: I do not deny that what you say makes perfect sense, anyway one could hypothesize that a ship is the maximum that the Borg can send so far from their territory in the delta quadrant. One can hypothesise anything, but IMO it's better when those hypotheses make some sort of sense. What would limit the Borg to sending one ship at a time? We know that they certainly have more than one ship. Many more! We know that they operate many ships at once - it's not like they can only power up one cube at a time or something. So what exactly would be a limiting factor here? But this is because Red Army units require a constant source of supply - food, water, fuel, spare parts, ammunition. And those supplies need to be shipped to the theatre of operations, which requires a certain amount of shipping. And all of that costs money, which is in limited supply. Borg cubes do not appear to need external supply, or if they do they appear able to collect materials to use all by themselves. And even if they did, again - we already know that the Borg operate a great many ships at once. Sending, say, ten cubes is not the equivalent of sending half the Russian army, it's the equivalent of sending five platoons instead of one. Honestly you'd be far better using some other villain. Like for example, say during DS9 Season 4/5, when it was already clear that the Dominion was a major threat to the Federation and war was imminent, what if Bajor had decided to join the Dominion instead of the Federation? Would the Federation be justified in invading Bajor at that point? A Dominion controlled Bajor would be a strategic disaster for the Federation, after all. Personally I wouldn't mind seeing the Federation launch an invasion of Bajor in that case. However, I'd want to see them declare war on Bajor, and possibly the Dominion, before they did it. No sneak attacks, please. The Federation's entire mission was unjustified. They walked into another planet's space against explicit orders. I gather this opening is based on a real thing that happened with Japan. The Japanese were refusing contact or trade with other countries, and in the end the US sent a warship to sail into Japanese waters and force them to open relations with the US at gunpoint. I don't think that's justified. However, I always took Kirk's use of General Order 24 as a bluff. 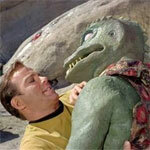 It was clear that the Eminians took Kirk and the Enterprise as a problem to deal with, not as a serious threat. By ordering 24 and then telling Anan what he'd done - with Scotty backing that up - he put them in a position where simply killing the Enterprise crew and carrying on as normal was no longer an option. It was actually quite clever. Anan constantly called himself a civilised man who did what he did to avoid a greater slaughter. So Kirk took him at his word and put him in a position where he faced a choice between utter slaughter, or going along with Kirk. Of course Anan would do the latter, he would be a hypocrite not to. Kirk did say at the end that even using 24 would be justified, since it wouldn't kill more than real attacks did and would end their capacity to make war. I don't go along with that idea. The war was only killing a few millions a year, 24 would have killed... well, what? Probably not everyone, but certainly the large majority of the population - over 95%, say? Graham Kennedy wrote: What would limit the Borg to sending one ship at a time? We know that they certainly have more than one ship. Many more! We know that they operate many ships at once - it's not like they can only power up one cube at a time or something. So what exactly would be a limiting factor here? On this I can absolutely agree, bad choice on my part, the Borg are an enemy too atypical. It's just that I did not see in the Dominion an enemy as terrible as the Borg. In the sense, the Federation (by a hair) has survived the loss of the entire Cardassian empire, which however imho second-tier power is certainly a military force much higher than the Bajorans. Of course if you mean (as I believe) with the loss of bajor the loss of control of the wormhole then ok, it would have been extremely dangerous and perhaps irrecoverable. on your next point, I think that a formal war declaration would be a suicide for the federation, without blocking the wormhole. My doubt is that the Eminians do not even seem in a position to carry out their threat, they do not seem (militarily) more advanced than Earth during Enterprise. Accepting the implausible point above, yes, it's a clever plan. He would certainly have destroyed them as a technological civilization. Already today I doubt our society can survive (economically and socially) the loss of more than 20-30% of the population. bladela wrote: exactly, what limits them? No, not "what limits them", but "what would limit them", IF they were limited. Which we have nothing to suggest that they are. it could be precisely the inability to support a greater invading force at a such a large distance from their space? Yet again - there's nothing to indicate that a Borg cube needs any support. Well we do have the canonical statement in Scorpion that Borg space comprised "thousands of systems, millions of vessels." Yes, certainly the Cardassians are many times the power of Bajor in military terms. It's pretty clear in the show that Bajor has the ability to police the space in their local system with maybe a couple of dozen small ships, but nothing very much beyond that. But strategically, Bajor is more important than the whole Cardassian Union, especially to the Dominion, because it has the wormhole. Control Bajor, and the Dominion has an open supply line from the Gamma quadrant. As for the threat of the Dominion, bear in mind that what the allies were fighting was essentially an expeditionary force sent through the wormhole, plus Cardassia, the Breen, and whatever ships they manufactured during the war. And they were barely capable of beating that. The main body of the Dominion back home could easily have been ten or a hundred times that size. Certainly Sisko always talked as if having the wormhole open to Dominion reinforcements was certain doom for the allies. Well that's the paradox, really. IMO, you can't attack and close the wormhole without a declaration of war... but to declare war warns the enemy that you're about to attack. I'd do it the way the Japanese intended to attack Pearl, rather than the way they did - transmit a declaration of war and then attack an hour later. They were capable of attacking the ship with disruptors, if it placed itself in a vulnerable position - which it would have, if Fox had his way. They also used long range transporters to beam nuclear weapons to targets on the neighbouring planet. In hypothetical engagements, true, but they did have the capacity to do it for real. I don't see any reason why they couldn't beam bombs up next to the Enterprise. That said, Kirk's ship clearly seemed very superior. Phasers and photons outranged their disruptors, and nuclear bombs aren't that big of a deal to Federation shielding. I had forgotten about this, D'OH! it can be said, however, that, as far as we know, virtually, the Dominion represents the entire gamma quadrant, can the same thing be said of the allies? there are several other forces of the alpha quadrant, although not totally on par with them but militarily relevant and that, at least in the canon, have not been involved, I think of the Gorn or Tholians, or the Ferengi. With the difference that that of the federation is a survival move (ok, given the allied embargo on Japan, from the Japanese point of view maybe it was). You can argue if a surprise attack is really feasible anyway for the Federation: they do not have the cloaking device (the Defiant alone wouldn't be a threat to the planet or the Dominion), reaching Bajor from a nearby base may also require several days and I doubt they can do it (with a large enough fleet) without being detected by Bajor or Ds9 (in this case Terok Nor). I do not know how much a Pearl Harbor style attack is really feasible. Let's say that you really had to make a suicidal move on the Enterprise. after all our best nuclear weapon does not reach the power of a photon torpedo ... I do not see how these can be a real threat to federation's ships. The analogy with Pearl Harbor is fallacious. The attack on Pearl Harbor was a successful surprise not because of any lack or tardiness in declaring war, but because the Japanese were in Washington on December 5th negotiating oil supply terms. The UFP would have no such ambassadorial subterfuge to use with the Borg. Mikey wrote: The analogy with Pearl Harbor is fallacious. The attack on Pearl Harbor was a successful surprise not because of any lack or tardiness in declaring war, but because the Japanese were in Washington on December 5th negotiating oil supply terms. The UFP would have no such ambassadorial subterfuge to use with the Borg. But I think we can agree that it would not have been classified as a "surprise attack" if Japan had, you know, declared war before it happened. Right? In reality, in this context the declaration of war (or the surprise attack) would not take place against the Borg (or the Dominion) but against the neutral planet (or Bajor in the second example). That begs a more philosophical question; is a formal declaration of war even feasible against an enemy with whom ambassadorial relations are impossible? Mikey wrote: That begs a more philosophical question; is a formal declaration of war even feasible against an enemy with whom ambassadorial relations are impossible? The Borg clearly hear and understand things said to them, have since the beginning. True most of what they have to say consists of declaring thing irrelevant, but Picard himself told them Humans would defend themselves if they had to. I don't see why we couldn't declare war on them. And that's before the Voyager iteration, with a Queen that was positively chatty and even willing to negotiate.